With a kitchen remodel from Premier Kitchen & Bath, you can turn the kitchen of your dreams into a reality. The service that our company offers to homeowners in Sun Lakes, Arizona, and surrounding communities encompasses the remodeling process in its entirety: design, product procurement, and construction. Our all-inclusive approach makes the remodeling process efficient and stress free; you can have your kitchen remodel completed in its entirety by visiting just one contractor. Discovery – During an initial discovery meeting, our designers will learn about the functional and stylistic preferences you have for your kitchen remodel in Sun Lakes, AZ. Design – Our designers will present you with a series of kitchen designs, complete with samples of products to be integrated into your remodel. Revision – Premier Kitchen & Bath will have revision meetings as needed until you are 100 percent satisfied with your new kitchen’s design. 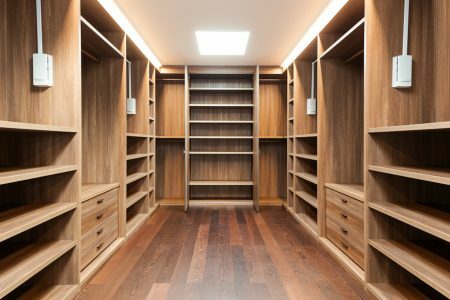 Build – Once you’re happy with the design, our experienced and talented craftsman will complete all construction with the utmost attention to detail. At Premier Kitchen & Bath, we strive to earn the satisfaction of every customer. As a result, we maintain an A+ rating with the Better Business Bureau. 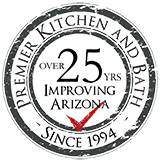 If you would like to have a kitchen remodel completed at your home in Sun Lakes, Arizona, or a neighboring community, contact Premier Kitchen & Bath today. One of our knowledgeable representatives will be glad to assist you.